WeaRobot wants to democratize robotic exoskeletons. 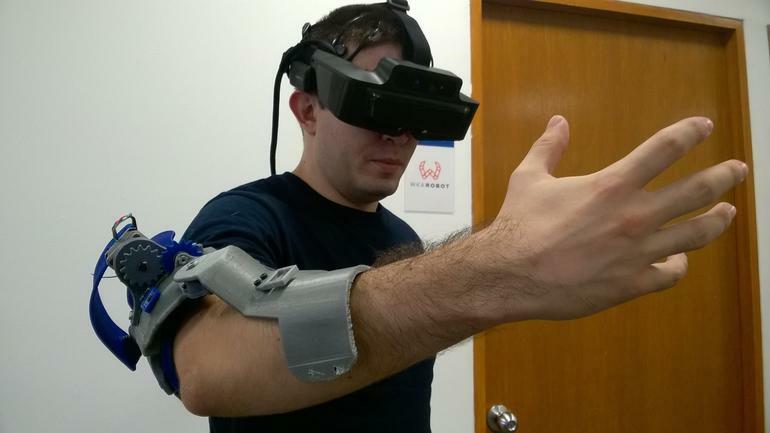 They want to make modular exoskeletons, so that is more affordable. The exoskeleton can boost the mobility joint by joint. Just supporting the movement of one knee or one elbow or assembling all modules for a full body exoskeleton. This is targeted at enhancing mobility and function for the growing elderly population. Robotic exoskeletons are electromechanical suits that can give paraplegic people the chance to walk again. Full body suits produce impressive results, such as teaching dormant body parts to move on their own again. But they are expensive, ranging from $40,000 to more than $100,000. 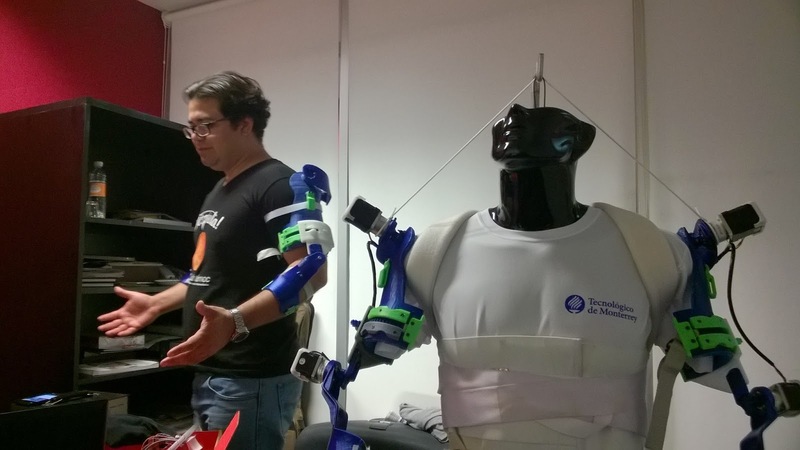 Now, a Mexican robotics startup is breaking exoskeletons down into smaller pieces, with the goal of making this medical technology affordable and adaptable. Ernesto Rodriquez Leal, PhD., started WeaRobot in 2014, when a personal dilemma inspired him to turn his robotics research into action. His father started to lose mobility at the end of a 35-year career as a steel worker, and after several surgeries and 3,000 hours of rehabilitation, it was still difficult for him to walk and move his arms properly. Exoskeletons have potential to solve the mobility issues that his dad and millions of other people face as a result of trauma, strokes, aging, and other medical conditions. The vision for WeaRobots has expanded to include pediatrics. Children need exoskeletons to help them recover from trauma or medical conditions such as scoliosis. Coincidentally, Halvorson’s daughter has a severe form of scoliosis that led to four back surgeries and forced her to wear a stiff, traditional back brace. It also has a unique control system. The current focus of the project is helping people with mobility issues, but in the future, the same baseline design could be used for physical therapy or athletic training. 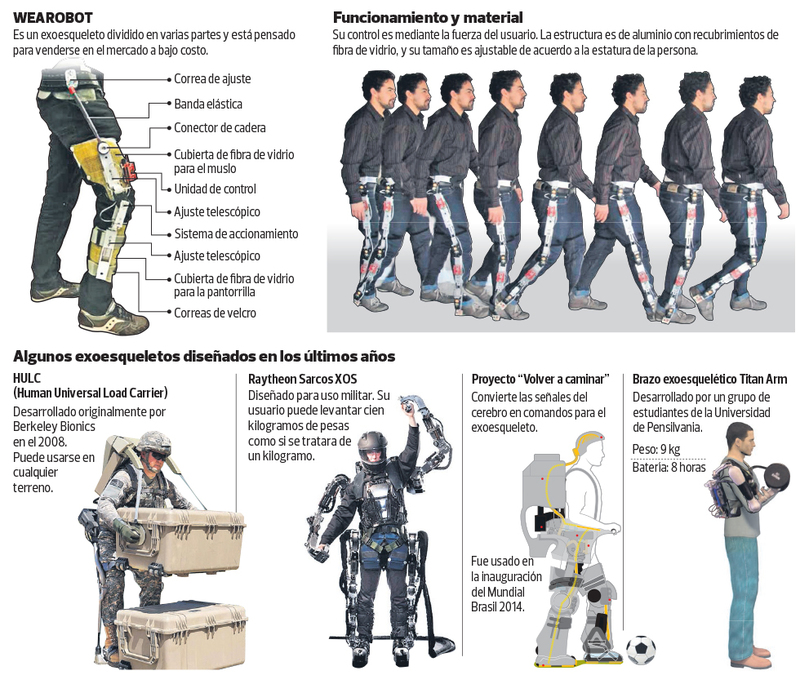 “The exoskeleton is packed with sensors, so you can know the activity, the position, and the orientation of every single joint in the body,” Leal says. The design is meant to make it easier for people to move, but it could also be reconfigured to do the opposite. It can be made passive, to restrict, instead of assist a person’s movement. This could be used as a high-tech training exercise for athletes or even as a therapy for astronauts who need to simulate gravity and weight while they are in space.